I have a small paved fenced backyard with no garden but there are plenty of grassy spaces just outside our front door. Near: Chapman Park is 10 metres outside my door, suitable for quick potty runs on warm summer days when it's too hot for pets to be out walking on pavements. Further: Wyong Reserve, Hedley Park & Centenary Park is a few minutes away. Many dog owners will gather daily to exercise their pets, a good social platform for both furry friends and humans. I am a dog lover and always am keen to spend time with furry friends or just give them belly rubs! I also spend most of the day at home, so your pet will have plenty of human and doggy company. Daily walks are guaranteed except during extreme weather conditions. 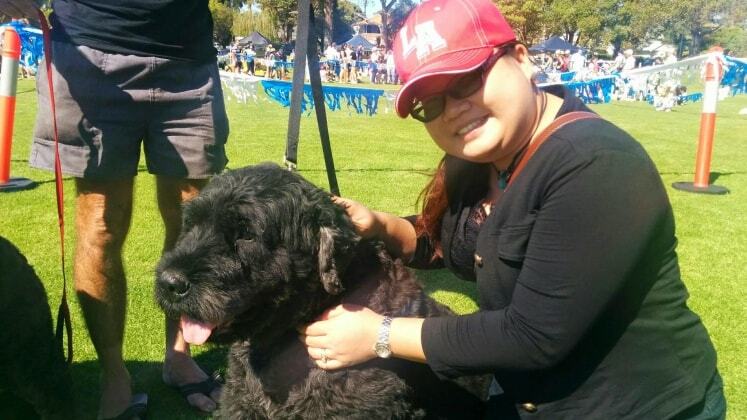 Experienced in dog sitting in my own home (Suburb: Bentley - Small paved secure backyard with no garden, but there's a small grassy park 10 metres outside our front door, and a big cricket oval about 8-10 mins walk away).